It’s that time of year, when resolutions are on the minds of many. Do you resolve to travel more next year? Do you resolve to do something more for others in 2015? Or maybe make your next travels more meaningful by combining the two…. Sea turtles and school children seem to grab the spotlight in conversations about volunteer vacations, while more traditional service opportunities often get lost in the shadows. No matter where you are in the world, though, the hungry need meals, the elderly need companionship, and rescued pets need care. These are meaningful ways to contribute that often don’t require special skills. 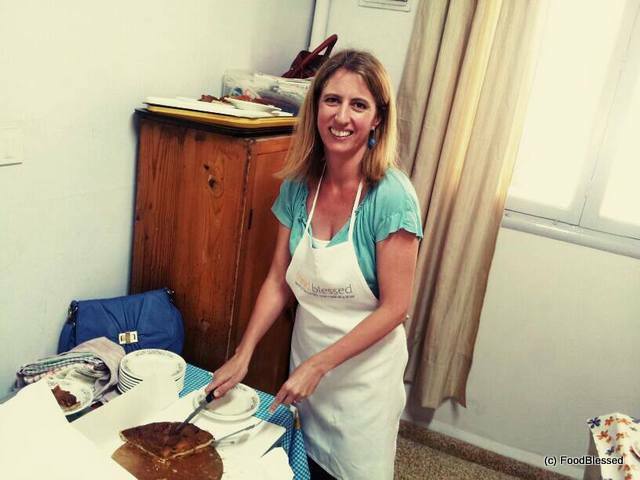 The first time that I showed up to volunteer at a soup kitchen in Beirut, I wasn’t sure what my role would be, but I had volunteered before in soup kitchens in my hometown of Seattle and I knew that I could do everything from cook to clean. As it turned out, the biggest need was for someone to simply put equal portions of rice and stew on plates. I could do that. On the days that bakery cakes were donated, my expertise cutting birthday cakes came in handy. I served lunch at the soup kitchen for four months. It wasn’t earth-shattering work, but it met a need. 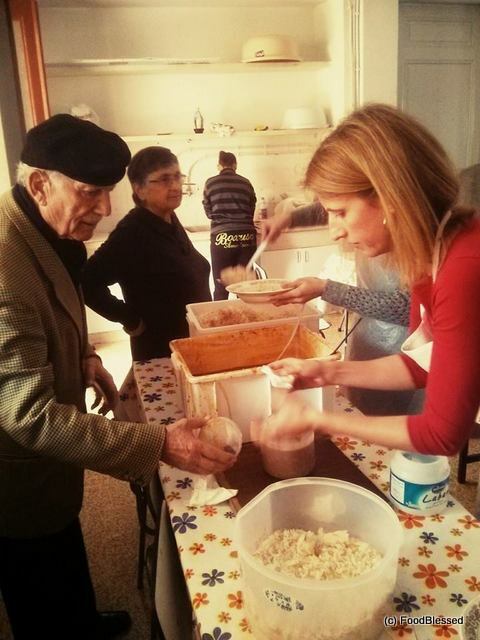 Thirty elderly Lebanese went home every Thursday afternoon with full stomachs, thanks in part to my efforts. Sure, a long-term solution for hunger is ideal, but in the meantime, hungry people got fed. I was proud to be a part of that. As a bonus, I met people that I never would have gotten to know otherwise. As a work-from-home mom living abroad, my social circuit is dominated to other moms and expats. 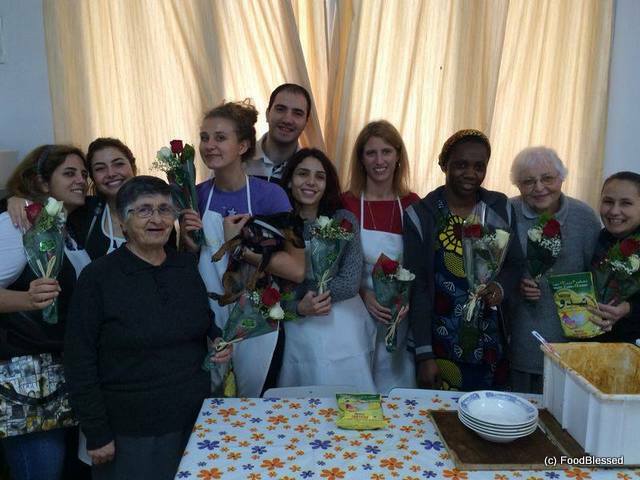 Through volunteering, I met local college students and young adults committed to a new Lebanon, elderly people who needed a listening ear as much as they needed the food, and the sturdy-shoed nuns who were the humble hosts of the weekly luncheon. I got to practice my budding Arabic skills to boot. My educational background is in international development, so I love to see organizations that are “teaching a man [or woman] to fish.” But immediate needs don’t disappear while long-term solutions are being developed, and ladling meals at a soup kitchen, providing companionship to the elderly, mentoring young adults or reminding hardship survivors that the world hasn’t abandoned them all can make great volunteer opportunities while traveling as well as while at home. No matter where you find yourself, this kind of volunteering can open the door for the kind of authentic person-to-person exchanges that many other forms of volunteering don’t foster. This post is my contribution to Adventures Less Ordinary: How to Travel and Do Good, a guide to impactful adventures, edited by Ethan Gelber. Drawing on the combined expertise of two dozen leading voices advocating for travel that makes a difference, it is a guide for compassionate people seeking the ultimate adventure – one guided as much by the good you give as the good you get. To order your free copy, go to http://bit.ly/1wvCUDS and register your email address. For more information about FoodBlessed and its work feeding the hungry in Beirut, Lebanon, check out their Facebook page at www.facebook.com/FoodBlessed and website at foodblessed.org.